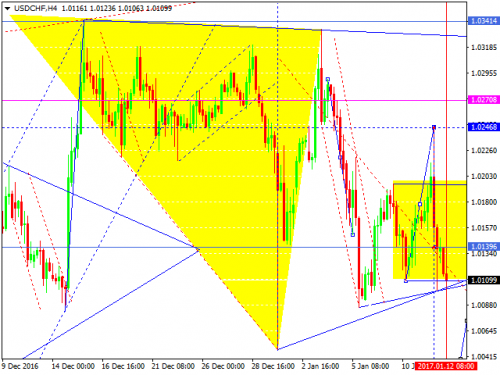 The USD/CHF pair is consolidating around 1.0130. Possibly, today the price may continue forming this consolidation range. If later the market breaks this range to the upside, the instrument may continue growing inside the uptrend; if to the downside – start falling with the target at 1.0030.